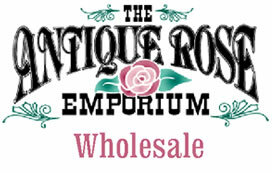 The Antique Rose Emporium offers truck delivery to your place of business. Being located in the heart of Texas, we have the flexibility to service the state with ease. Orders must be in by Tuesday morning at 11:00 am for same week delivery, subject to change without notice due to seasonal volume and/or severe weather conditions. We strive to do our best in providing you with a quality product. Should we not meet your standards or expectations, you may refuse acceptance of anything on your order upon delivery. Upon acceptance of the order, liability by Antique Rose Emporium ceases and the purchaser assumes the responsibilities of our product. Use the chart below as reference guide of what is required to meet truck delivery requirements. For distances greater than 200 miles see the Shipped to You Program.